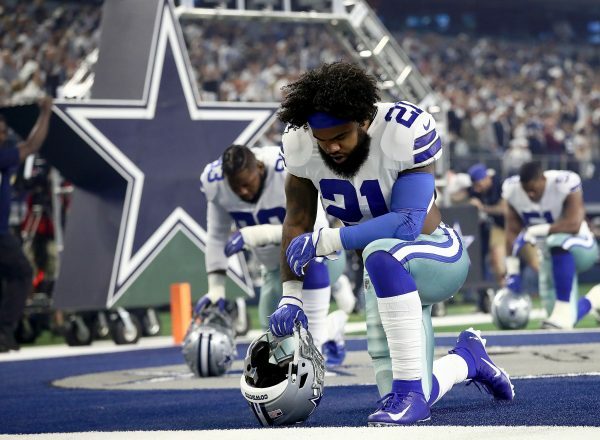 President Donald Trump said his efforts in passing criminal-justice reform have elicited phone calls from NFL players who have thanked him for his commitment. Speaking to CBS’s “Face the Nation” in a wide-ranging interview that aired on the same day as the Super Bowl, Trump said he did what previous presidents failed to do. In December last year, he signed into law a landmark criminal-justice reform bill dubbed the “First Step Act” that directly addressed unfair disparities that had plagued the judicial system for decades. 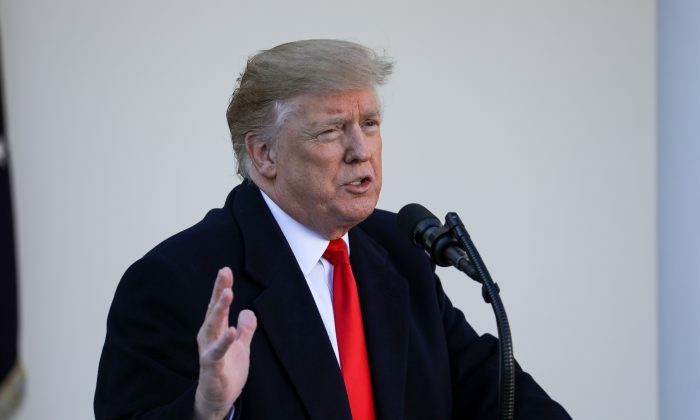 Trump said he addressed a significant portion of the player’s concerns with the passage of his bill, which gives judges more discretion in sentencing drug and lower-level offenders while also reducing the recidivism risks by expanding programs such as job training. The act, co-sponsored by more than a third of the Senate, received evenly balanced support among both Democrats and Republicans. It aims to make the federal criminal-justice system fairer, reduce overcrowding in prisons, and save taxpayer dollars. Certain mandatory minimum sentences also were adjusted. Kaepernick sat on a bench during the playing of the National Anthem in August 2016, but after he faced widespread criticism from fans nationwide, he began to kneel during the anthem as a statement of protest. He never again stood during the national anthem. The quarterback opted out of his contract with the 49ers in 2017, and no team has hired him since. Trump argued there are other, more suitable times to protest, adding that the American flag should be treated with respect. Polling data, ticket sales, boycotts, and ratings over the past few years suggest that fans want football to remain just football as more and more get turned off by politics being injected into the game. The judicial-reform bill, years in the making, represents an easing of tough law-and-order minimal sentencing requirements imposed on judges that stemmed from a 1980s drive to clamp down on an epidemic of crack cocaine and other illegal drug use in the United States. It comes after efforts from liberal and conservative advocacy groups as well as civil-rights advocates.